Taste of Bethesda returns and will bring nearly 50 restaurants and multiple stages with music and cultural entertainment and kid's corner. 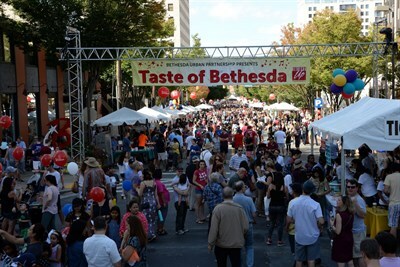 Admission to Taste of Bethesda is free. Tickets will be sold on-site for food, tickets are $5 for 4 tickets.